My team and I look forward to having you as our guest at Banyan Tree Cabo Marqués. Come and be allured by Acapulco with its stunning sunsets, famous cliffs and captivating oceanfront views. The Pearl of the Pacific has everything you expect from a beach paradise; sun, sea and the warm breeze. Banyan Tree Cabo Marqués is a luxury resort with an Asian feel, built on high stilts over cliffs of Acapulco Diamond zone to give you spectacular views and offer you the Banyan Tree signature privacy and comfort. Acapulco and Cabo Marqués are full of diverse experiences, such as exploring the natural wonders, like the cliffs and the rich wildlife, or discovering local Mexican food, drinks and the warm welcoming culture of the Mexican Pacific coast. Featuring only the freshest seafood and finest meat cuts of the season prepared to order on the grill. Delight in an extraordinary culinary experience - accompanied by the sound of waves breaking on the rocks. 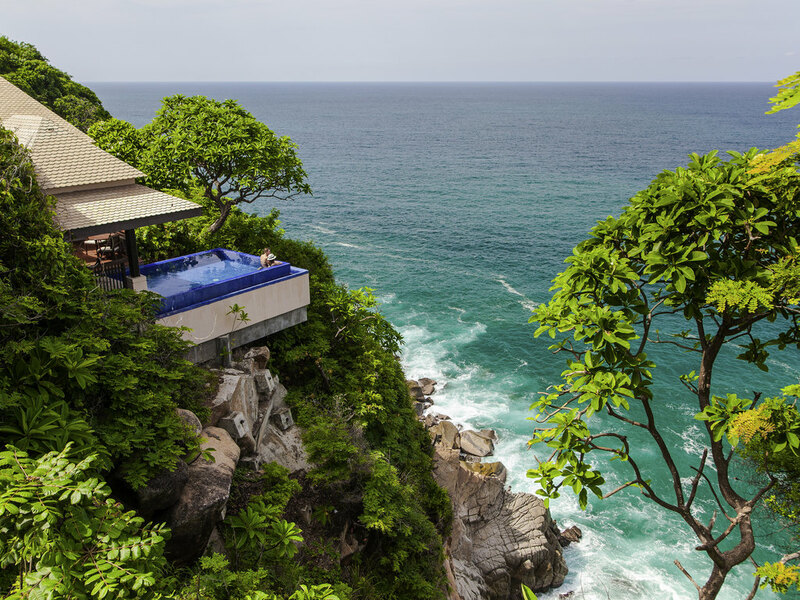 A Banyan Tree signature restaurant, Saffron serves contemporary Thai cuisine presented to you in a lofty cliff setting overlooking the expanse of the Pacific Ocean. Enjoy awe-inspiring Acapulco sunsets and the calming therapy of Pacific Ocean breezes as you sample Thai tapas and sip exotic tropical cocktails. Exceptional dining options abound from sunrise to sunset. Take pleasure in a delicious contemporary cuisine with stunning oceanfront views.